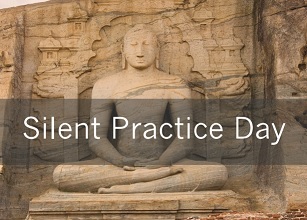 This free silent day retreat is suitable for beginners and experienced meditators. We will practise simple meditation techniques together and learn about what Buddhist psychology teaches us about living a full life. The day is open to people of any religious affiliation or none. meditating with other people can bring. “The two day retreat facilitated by Kirsten Kratz was a welcome opportunity to refresh practice in a comfortable and welcoming setting at the Community Hall at Seaton Sluice. Kirsten guided the group through a range of meditations and consistently drew on the intrinsic interaction of mind and body through the breath alongside the dynamic process of loving kindness. The repeated emphasis on being grounded was a welcome reminder of the inner strength that we have available to us at all times. Kirsten presented in a warm and unassuming way, and l appreciated her peaceful, gentle style. Thanks also to Walter Young for his part in organising and running the event, and to all those others who took part “. 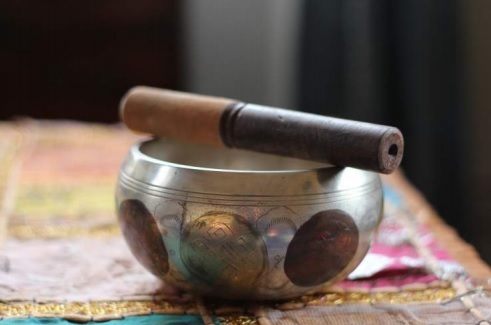 Recordings of a guided sitting practice and two of Kirsten’s reflections from the weekend can be accessed or downloaded here. This non-residential weekend retreat will offer the chance to practice Insight Meditation together in silence. Insight Meditation is rooted in the 2600 year-old Buddhist tradition and has a deep and immediate relevance to our lives today. It is the ground from which the teaching and practice of Mindfulness has been drawn, and is open and accessible to people of any religious affiliation or none. On our weekend together we will explore what it might mean to abide wholeheartedly in the beauty and challenges of our experience, to realize our connection with all things, and to know a more embodied life that can trust the potential and mystery of being human. Please note that this is a weekend silent retreat with the learning and exploration developing over a two-day trajectory. We are therefore only inviting bookings from participants who are willing to attend both days. in Gaia House where she also supports those on personal retreat. One of her particular passions is exploring how wisdom teachings can foster appropriate responses to the challenges of our time; she is co-initiator of the Dharma Action Network for Climate Engagement (DANCE). Cost: the retreat cost is £40 for 2 days. This charge is to cover the basic cost of organising the retreat,including hiring the hall and the teacher’s travel expenses, but does not include any payment for the teaching. In the Insight Meditation tradition, Dharma teachings are offered without charge and participants are invited to support the teacher in the spirit of generosity – know as “dana” in the tradition. At the end of the retreat, there will be an opportunity to practice Dana / Generosity to support the livelihood of the teacher. Hot drinks will be provided. Please bring a packed lunch. Places are limited so we encourage booking in advance. The group met recently for our Metta focussed meditation weekend retreat in the beautiful Upper Coquet valley in rural Northumberland. A small group included a retreatant who had travelled from Sheffield to join us, so a welcoming conversation over dinner on friday evening was enjoyed by all. The arrangements for the retreat were planned collaboratively, followed by the establishment of silence for the remainder of the retreat. The programme over the weekend included dhamma talks from both Sharon Salzberg and Donald Rothberg, which explored metta from a led metta meditation through to ways to realise metta in everyday life. This was interspersed with periods of sitting and walking meditation, as well as the opportunity for a longer nature walk in the beautiful, quiet Cheviot countryside right from the doorstep of the bunkhouse. The weather wasn’t always kind to us, but the roaring log fire stove in the bunkhouse kept things warm and toasty for everyone. Overall the weekend was appreciated by all who attended both for the opportunity to explore and meditate for a more extended period than possible outside of a formal retreat situation, and for the conducive peace, solitude and beauty of the retreat location. At the end of the weekend the drive out from the bunkhouse offered a wonderful opportunity for reflection on the messages and themes of the retreat and slow return back to the concerns of everyday life. We’ll provide simple vegetarian food. Can you please let us know whether you have any dietary requirements or restrictions? We’re planning to bring fruit, cereal, porridge and bread for breakfast; soup, bread and cheese for lunch; a hot meal in the evening with some salad. There will be bottled water, coffee, tea and herbal teas. We’d also like to remind you that the accommodation is on mezzanine floors, with separate male and female areas. You’ll need to bring your own bedding, including a sleeping mat or portable mattress. We have some spare bedding and mattresses, so please let us know if you need us to bring anything for you. We have uploaded an album of photos (click here) if you’d like to review the arrangements. It would also be very helpful if you can bring your own meditation cushion or stool with you. Again, we have some spare cushions and yoga mats, so please get in touch if you need them. There are a number of lovely walks around the area and we’ll bring some maps and walk guides, so you may want to take some walking boots and a waterproof coat. We can arrive any time from 3 pm on Friday and we aim to finish at noon on Sunday. We’ll have a meal ready at around 6.30 on Friday evening, but if you can’t get there in time we’ll save you some food! From Rothbury: Leave Rothbury on the B6341 heading west, passing through Thropton. At Flotterton Farm junction turn right, following the signposts to Alwinton. 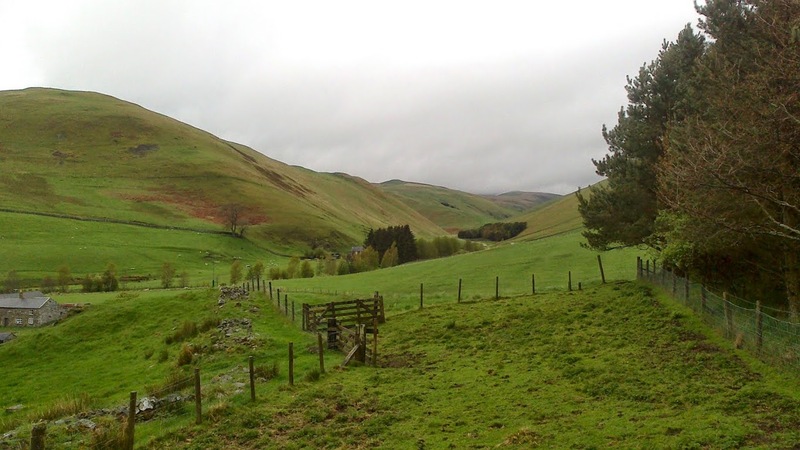 Pass through Harbottle, and Alwinton, continuing on the narrow single track road up the Coquet Valley for another 6 miles to Barrowburn Farm. The camping barn is up a track about 100 yards from the tearoom. For a Google Map click here. If anyone needs a lift or would like to offer a lift, please let us know. We are expecting 6-8 of us to be taking part. If you have any questions, please email us (walter@whitleybay.plus.com) back or call on 07508 055643. We’re really looking forward to seeing you and practising together.